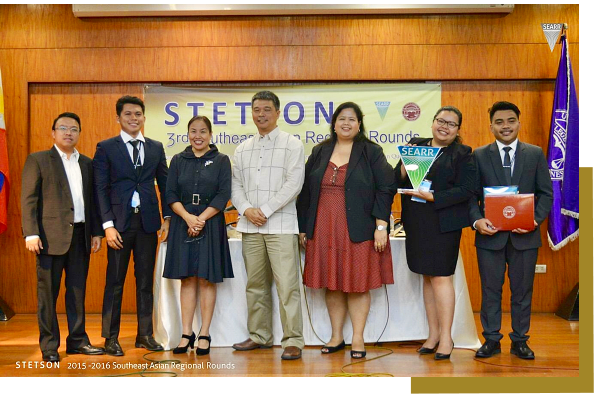 USC Law as Southeast Asia Regional Rounds Champions in the Stetson Environmental Law International Moot Court Competition. Tess Marie Tan was named Over-all Best Oralist and Mark Lawrence Badayos was named Best Oralist in the Finals. There were 19 teams that competed from all over the South east Asia Region. USC Law ranked first followed by University of the Philippines, Singapore Management University and National University of Singapore.